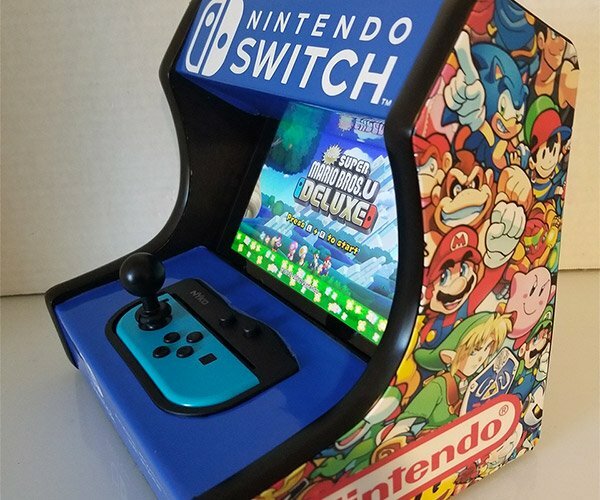 In the last year, we’ve gone from nary a Wii gun controller to a veritable plethora of available shooter accessories for Nintendo’s little white box. Still, with all the variety that’s to be found these days, this is the first time I’ve seen one with a built in laser sight to help you aim your shots. The WiiMax (not to be confused with WiMAX) is one substantial light gun controller, designed to flip between “machine gun” and “rifle” modes thanks to a folding front grip. It’s got a fitted slot for holding your Wii-mote, and lets you plunk your Nunchuk into the handle. The laser sight runs on a pair of AAA batteries, and can be easily removed if it gets in your way. Sure, if you’re willing bring out your inner MacGyver, you could just duct tape a cheap laser pointer onto any light gun. But for about $21, you might as well just pick up one of these, all ready to go. 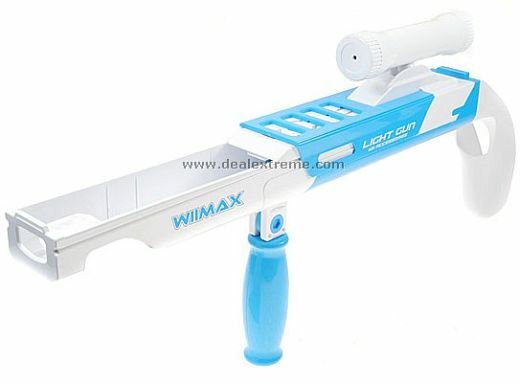 You can grab the WiiMax Wii Light Gun from DealExtreme.